ASBURY PARK, New Jersey -- Authorities say a New York woman who was pulled unconscious from rough waters at a New Jersey shore beach this week has died. Asbury Park police say 42-year-old Erin Higgins, of Harriman, and 54-year-old Ronald Renshtie, of Wallkill, New York were swimming in chest-deep water Wednesday afternoon when they apparently got caught in a rip current. Renshtie was able to swim back to shore and was helped out of the water. But several witnesses told emergency responders that Higgins was still in the water. Higgins was soon found and was taken to a hospital. But authorities say she died the next day. 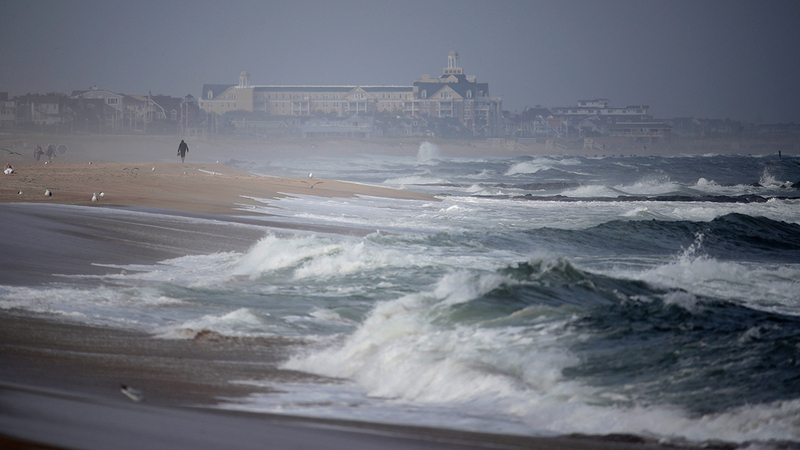 Authorities say the rip current was one of several spawned by Hurricane Jose as it passed well east of the New Jersey coast.